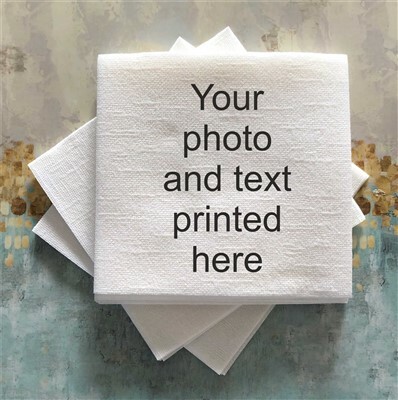 Deluxe quality cocktail size linen mix, disposable napkins in soft white, printed in full colour with matt finish design. Minimum order of 18. All with the same design of your choice.